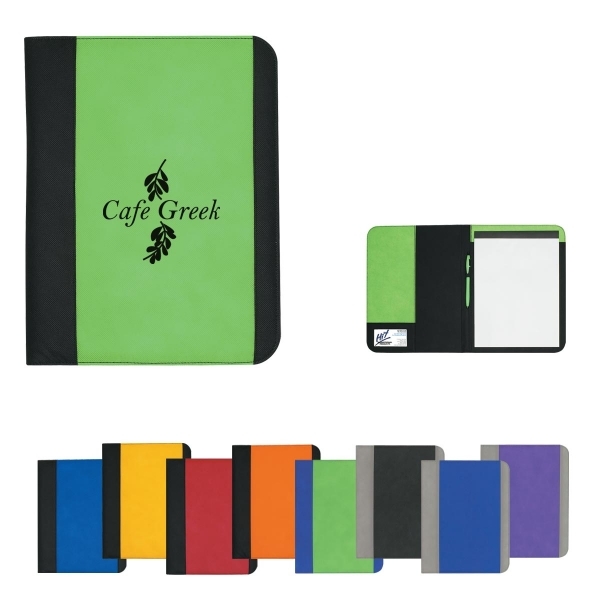 You will find a great value in this economical 10" x 13" large Non-Woven Padfolio. Available in nine color options to promote your brand. It includes a lined pad for notes. The pen is not included. A nice stylish but budget friendly item for your next meeting.